“Regulation Rollback” is a strategic step in Governor Ducey’s ongoing work to make Arizona the best state in the nation to open a new business or to expand an existing one. Individuals across Arizona may utilize this innovative new service to recommend ways to improve or eliminate outdated or overly burdensome Arizona regulations directly to the Governor’s Office by submitting their ideas through azgovernor.gov/redtape. This site is a service to provide the public with information about the Arizona Governor's Regulatory Review Council (Council), assistance available from Council staff, and the rulemaking process for Arizona regulations. For most agencies, the Council is the final step in the rulemaking process for Arizona regulations. The Council reviews Arizona regulations to ensure that they are necessary and to avoid duplication and adverse impact on the public. The Council also assesses whether Arizona regulations are beneficial, clear, consistent with legislative intent, legal, and within the agency's statutory authority. If an Arizona regulation does not meet these criteria, the Council may return it to the agency for further consideration. The Council also reviews reports on existing Arizona regulations. 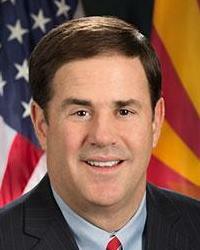 The Secretary of State, not the Council, is responsible for the publication of Arizona regulations. The Arizona Administrative Code and the Arizona Administrative Register are intended to be the authoritative sources for Arizona regulations. Please visit azsos.gov/rules for more information. The Council also physically posts all public meeting notices on the bulletin board outside the entrance of the Arizona Department of Administration building located at 100 North 15th Avenue, Phoenix, AZ 85007. Please contact (602) 542-2058 if you require any additional information.